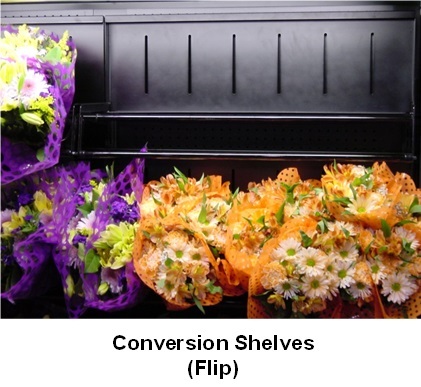 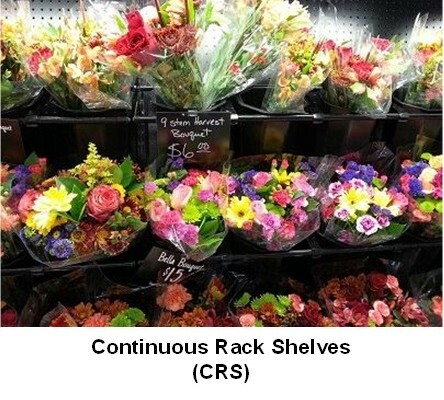 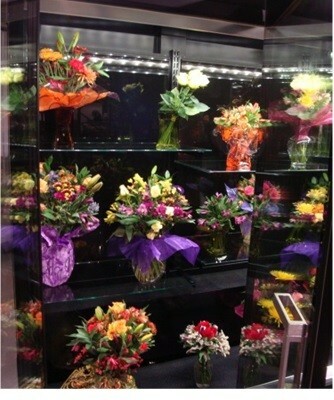 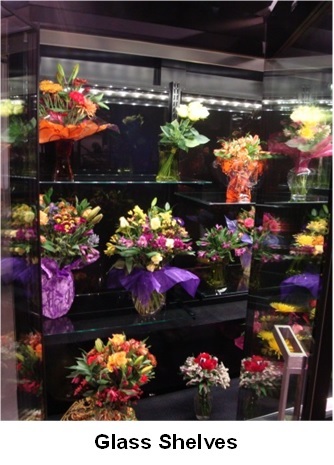 Continuous rack shelves (CRS) are a seamless rack that holds vases at an angle so the flowers are facing the customer. 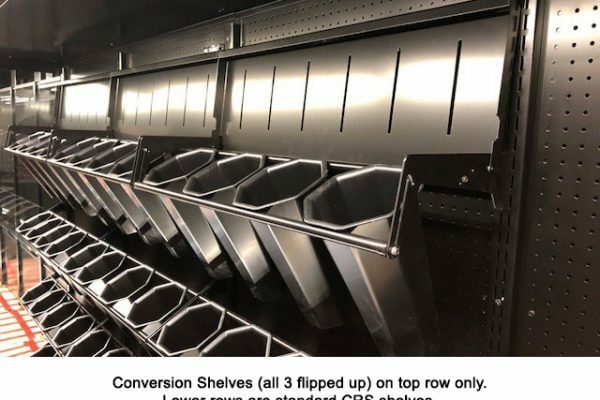 Use either 10″ or 13″ Borgen octagonal buckets. 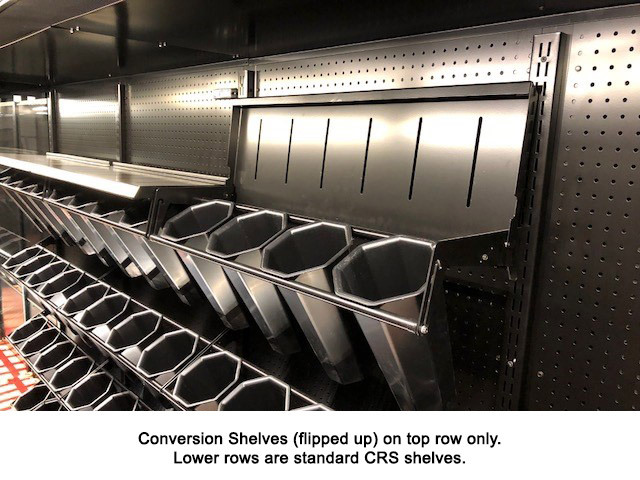 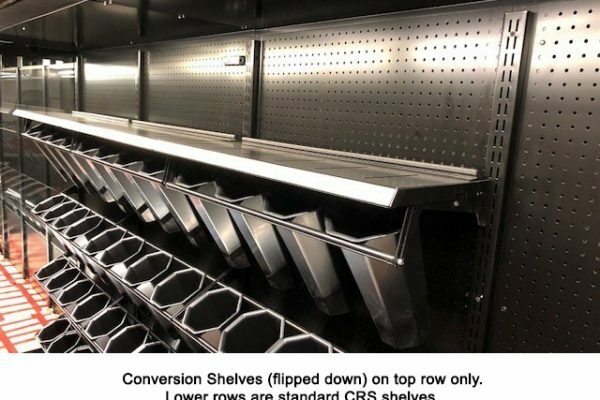 Conversion (flip) shelves are a unique Borgen design which combines the metal and continuous rack shelves into one. 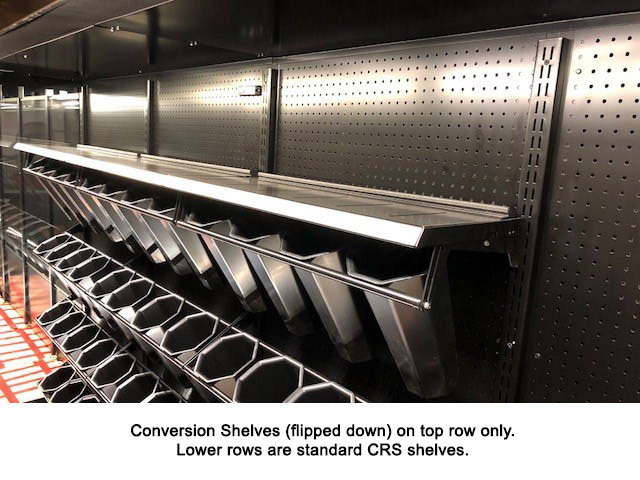 This design allows you to switch from floral arrangements to buckets by lifting the metal shelf and revealing the CRS below. 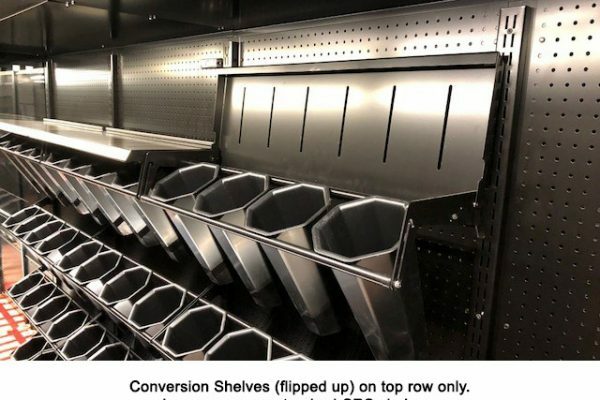 This makes it much easier for your employees because they don’t have to remove heavy shelving from the cases, but still allows you to have more merchandising options within the same case. 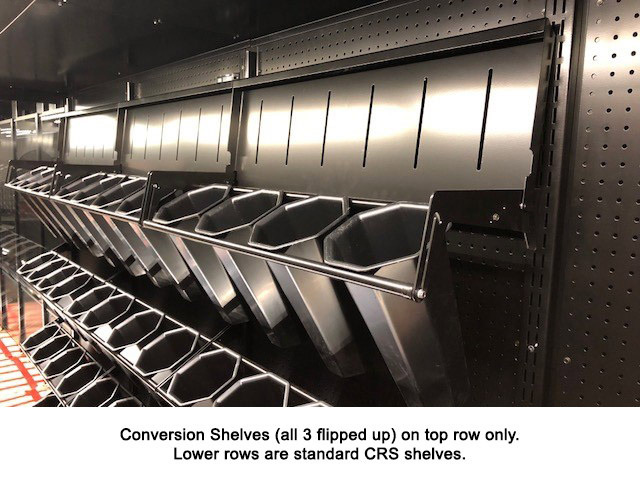 Laser cut shelves are custom to fit existing vases or buckets you have, such as E32 or Procona buckets.